If your team uses LinkedIn Recruiter, you know it’s full of useful tools—but you might not know whether you’re making the most of those products. While data-rich insights can help you monitor performance, demonstrate value, and make smarter decisions, you had to rely on your sales reps to get that kind of talent intelligence. LinkedIn just released a new reporting feature for Recruiter customers called Performance Summary. The new report outlines how well your team is using LinkedIn and offers actionable recommendations to improve outcomes, all on-demand, accessible whenever you want. The new report is super useful for TA leaders looking for insights to guide their strategy and spending, but everyone on your recruiting team can benefit from keeping tabs on these stats and trends. At the very top of the report, you’ll see a big blue chart tracking your company’s “Influenced hires.” That’s a metric showing how many of your recent hires were influenced by your LinkedIn products—e.g., people who applied through LinkedIn, clicked on a job post, communicated via InMail, engaged with your Company Page, etc. 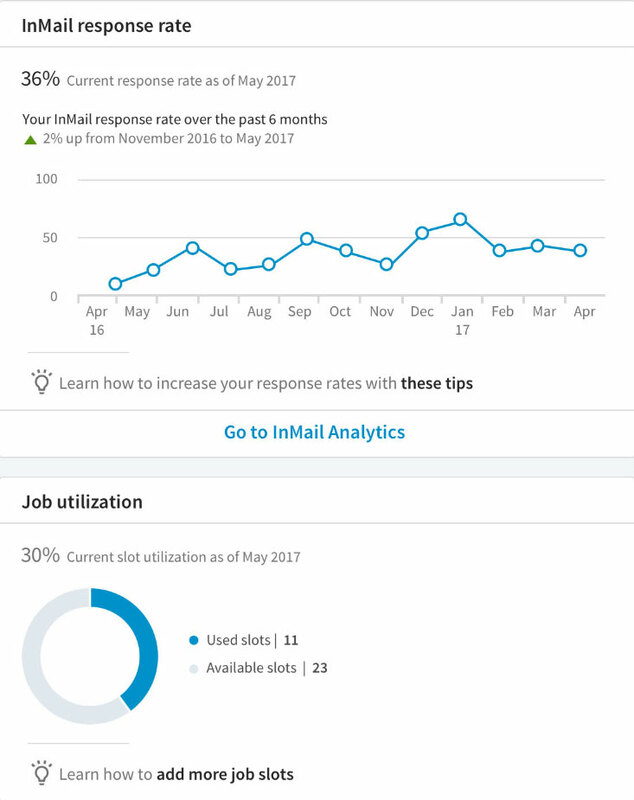 We’re really excited about getting this data to our users: before today, these metrics were only available through your rep. Having these stats in hand will make it easier to have more insightful talks with your rep, get executive buy-in, and adjust your recruiting plan accordingly. The other most exciting part of the Performance Summary report is that it includes another metric that’s much easier to access now: departure and hiring trends. In the past, you’d have to get this data on an ad-hoc basis from your sales rep—now you can access it on-demand any time you’d like. This has some pretty big implications. If you’re a TA leader, you can look into the competitors taking your talent and investigate why—seeing what they offer that you don’t. The next step, of course, is identifying what you can change to curb that trend. 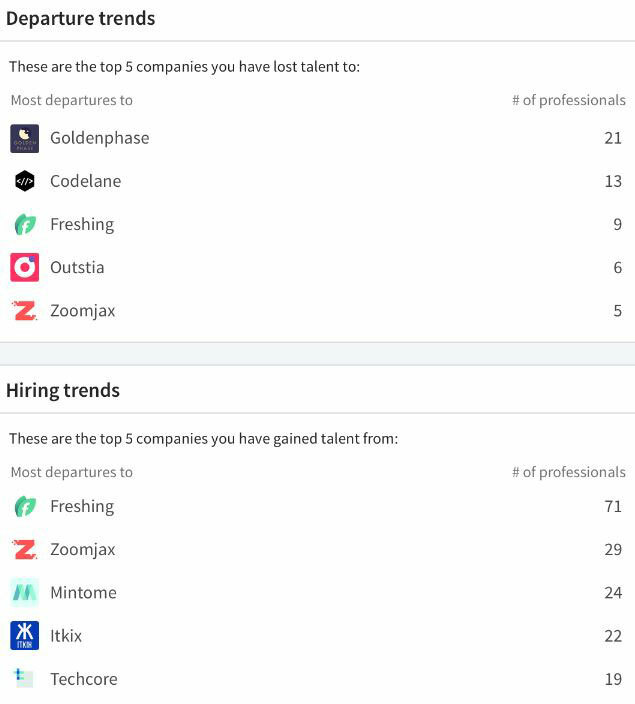 If you’re a recruiter, you can see which companies you’re already successfully sourcing talent from and invest more time targeting them. There’s good chance you’ll find more candidates there willing to join your team. You might also see some trends that are instructive when targeting other companies that don’t show up in the data. For example, if you’re a financial services company and you see that most of your hires are coming from big tech companies, you can target other similar tech firms—even if you haven’t hired anyone from there yet. Other elements of the Performance Summary are now centralized in a single place to give you complete visibility. This data used to be scattered across different locations in the product, which is why we’ve brought them together (and spruced them up) into one, easy-to-understand, visually appealing report. Better yet, you’ll get actionable advice on how to get more value out of your LinkedIn products, with recommendations based on your team’s current performance. For instance, if you’re underutilizing your Job Slots, we’ll let you know how to post jobs automatically by setting up job wrapping. This is useful when you’re reviewing the health of your LinkedIn investment and for ongoing maintenance: it’s easy to see if you’re leaving opportunities on the table with too many unused job slots, or whether you experience a sudden surge or fall in performance. Of course, you want to be sure you know where to find the report. In LinkedIn Recruiter, you should find the new Performance Summary report under the Reports drop-down menu. 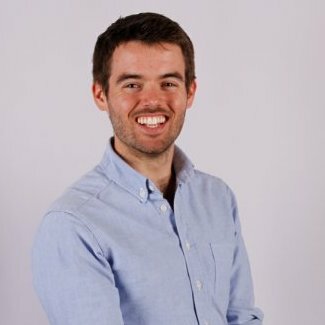 While most Recruiter seats should be able to access it, you might not see it if your administrator hasn’t given you permission. Your admin can quickly and easily allow you access to the report—just reach out to them. 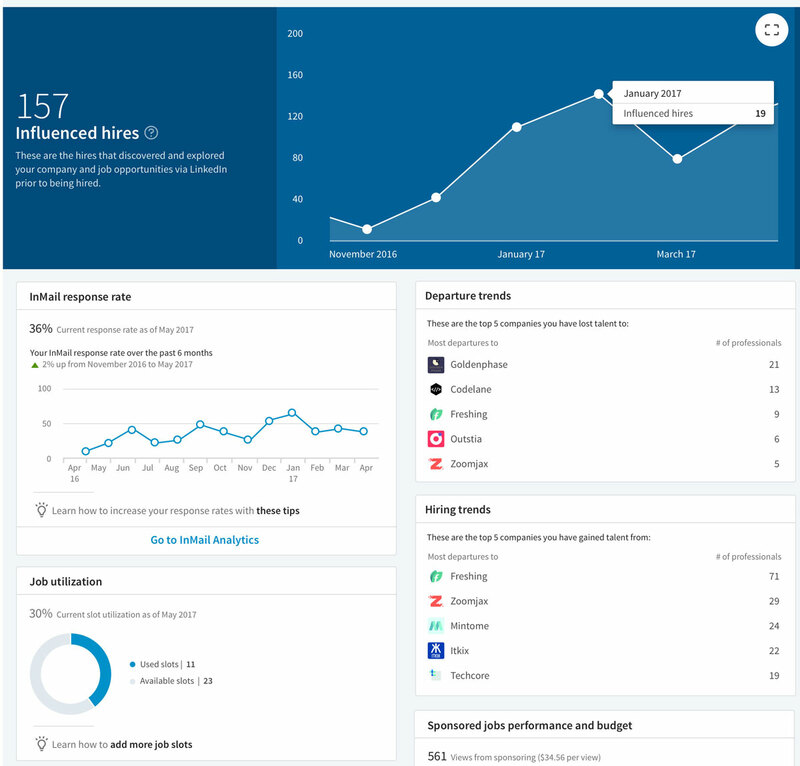 You can learn even more about the new Performance Summary report here—and stay tuned for more updates about the LinkedIn Talent Insights product. They’re both examples of how LinkedIn is helping recruiters with access to data-driven insights that make your job easier and more effective.